Global Authentics LLC provides consumer protection and value preservation for consumers, dealers, collectors and charities by verifying the quality and originality of autographed sports and entertainment memorabilia. We are working as fast as possible to upload your CertCheck to the website as we can. Thank you for patience! 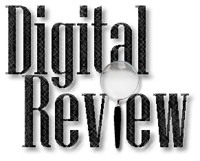 Digital Review images should now upload correctly. Thank you for your patience during our repair! An innovative new way to have your collectibles verified online. Click here for more information.